CG Says: Mitsubishi’s compact car gets a mild refresh for 2016 that includes an exterior facelift, a revised interior, new standard features, and an updated continuously variable transmission (CVT). The model lineup has also been revamped; a new SEL trim level joins the roster, while the sporty Ralliart model and its turbocharged 2.0-liter engine are discontinued. 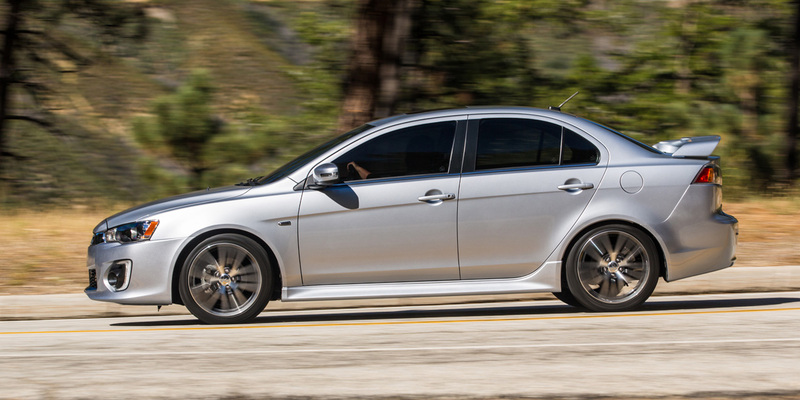 The Lancer’s updates for 2016 are welcome improvements, but they’re mostly cosmetic. Lancer’s last complete redesign was back in model-year 2008, and today it’s simply too old to battle effectively in this fiercely competitive class. Almost all its rivals offer newer, more up-to-date designs with superior all-around refinement, performance, and fuel economy. Still, Lancer is one of only two mainstream compact cars to offer all-wheel drive (the other is the Subaru Impreza). We applaud the Lancer ES and SE models for offering AWD and other standard cold-weather niceties at prices that don’t break the bank.